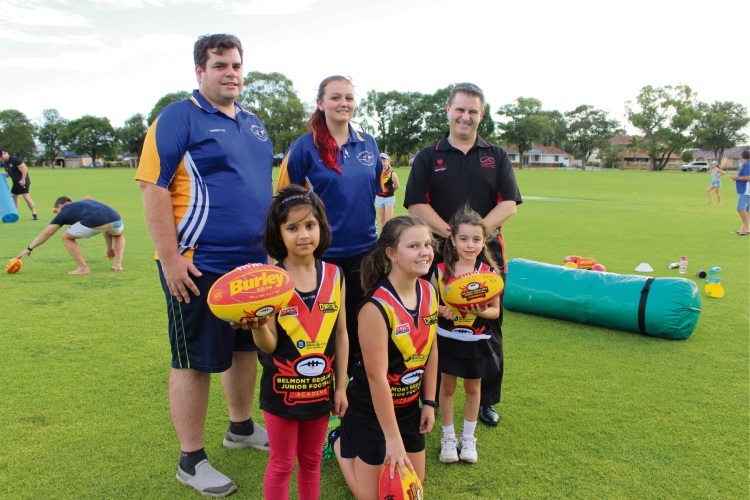 BELMONT and Redcliffe junior football clubs have joined forces to offer their first girls’ footy clinic to boost numbers for this year’s teams. The two clubs will offer the four-week clinic starting next Wednesday, Feb 13 at Peet Park in Belmont. Head coach Kolbe Burgoyne said she would like to pass on the knowledge she has after playing for the Perth Angels for eight years. “With the Youth team, they start from 15 years old but by that time they’ve had a break and some don’t get back into it,” she said. Development Officer Leigh Searle said the two clubs would endeavour to get girls teams in all age groups. “When they get to Year 8, they don’t get to play with the boys anymore,” he said. “Girls have never had a fair opportunity because it’s very daunting to compete against boys. Belmont Redcliffe Junior Football Academy is open for boys and girls from pre primary to Year 12 during the off season. For more information, contact Leigh Searle on 0423174008.